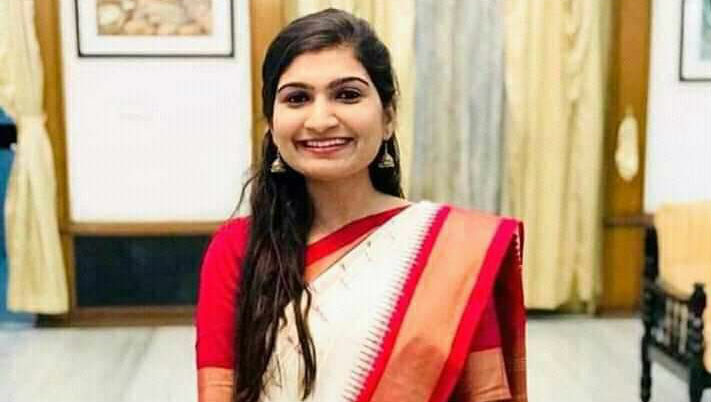 New Delhi, April 14: A 25-year-old woman from Chhattisgarh's Dantewada district, one of the worst-hit Naxal regions in the country, has got the 12th rank in the civil services exam, the result of which was declared recently by the Union Public Service Commission (UPSC). Namrata Jain, who hails from Geedam town in Dantewada, ranked 99th in the 2016 civil services exam. She got Indian Police Service and is undergoing training at Sardar Vallabhbhai Patel National Police Academy, Hyderabad. UPSC Final Results 2018 Declared @upsc.gov.in: Civil Services Aspirant Namrata Jain, From Naxal Affected Dantewada, Secures All India Rank 12. “I always wanted to be a collector. When I was in Class 8, a woman officer had come to my school. Later I was told she was the collector. I was quiet impressed by her. At that time only, I had decided to become a collector,” Jain told PTI over phone from Hyderabad. She said a Naxal-triggered blast that hit the police station in her town a long time ago encouraged her to join the civil services to serve the poor and bring development to the Maoist-affected area. “The place I come from is badly affected by naxalism. People there lack basic facility like education. I want to serve the people of my state,” said Jain, who is hopeful of getting Indian Administartive Service (IAS) this time. She said bringing development to Dantewada could be the best way to check naxalism there. While her father is a local businessman, mother is a housewife and her brother aspires to become a chartered accountant. She studied till Class 10 in Dantewada. Thereafter, she went to Bhilai in Chhattisgharh where she completed Bachelor of Engineering. The result of civil services examination 2018 was declared on April 5. A total of 759 candidates were recommended for different government services. Kanishak Kataria, a B.Tech from IIT Bombay, has topped the civil services examination 2018. UPSC 2018 Final Results: Sreedhanya Suresh Becomes 1st Tribal Woman from Kerala to Crack Civil Services Exam. The civil services examination is conducted annually by the UPSC in three stages -- preliminary, main and interview -- to select officers for Indian Administrative Service , Indian Foreign Service (IFS) and Indian Police Service among others.